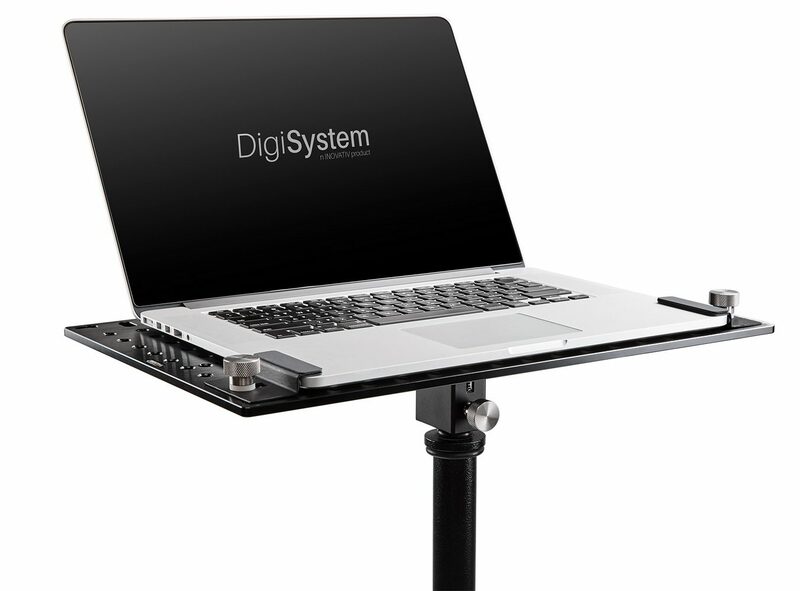 DigiClamps keep your laptop secured to the DigiPlate. 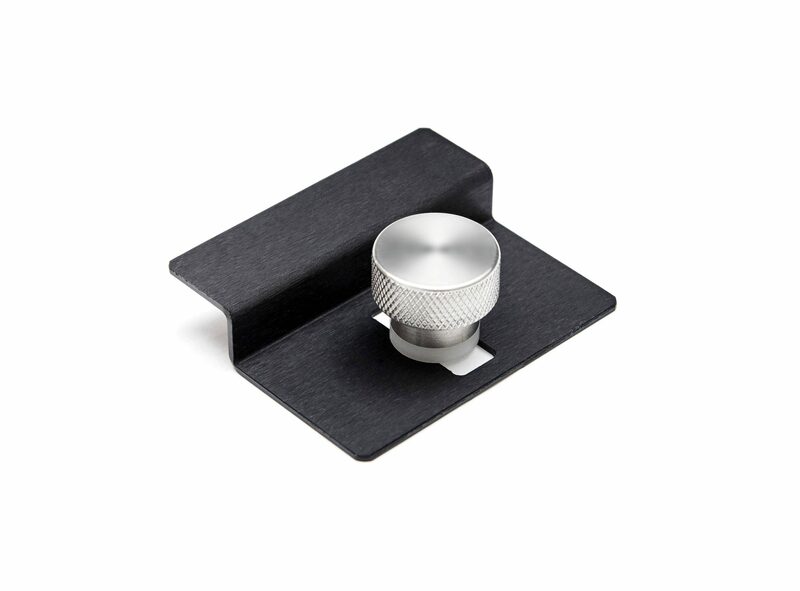 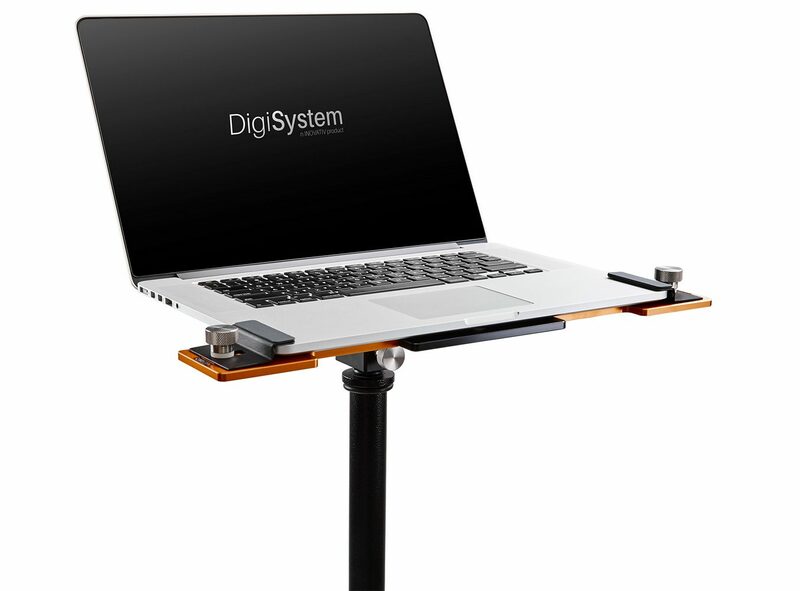 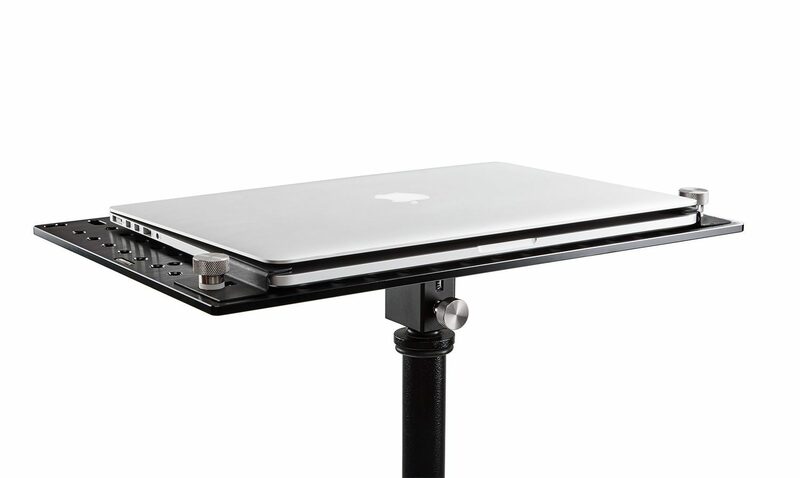 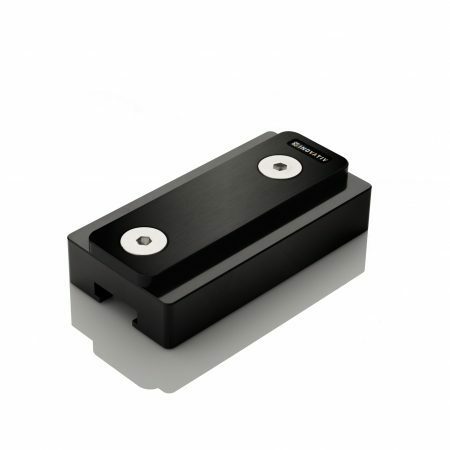 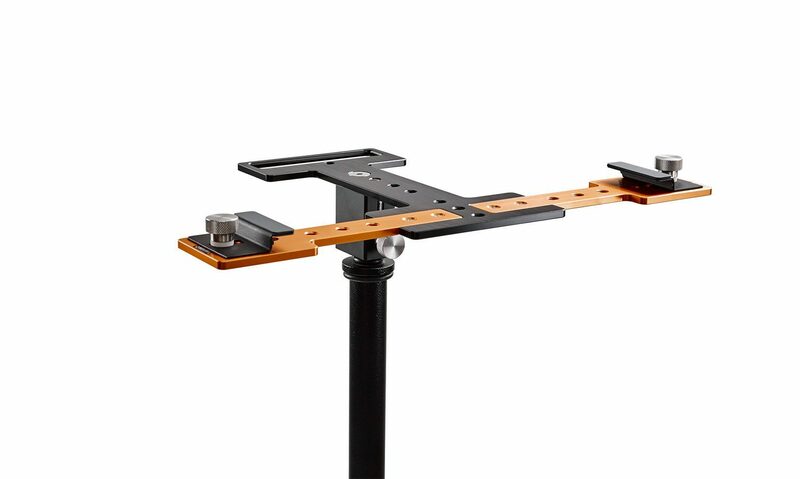 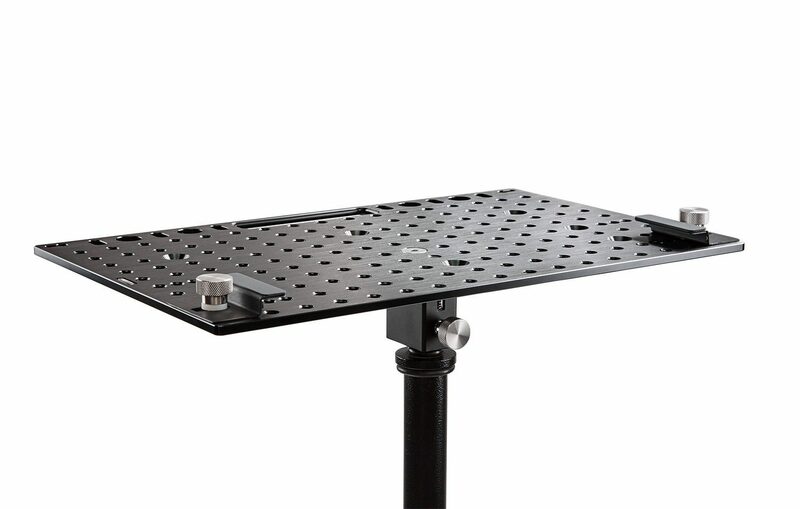 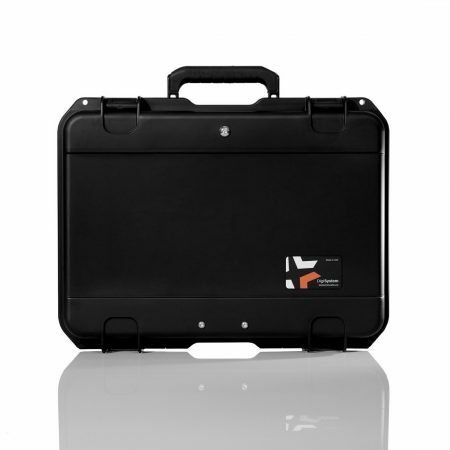 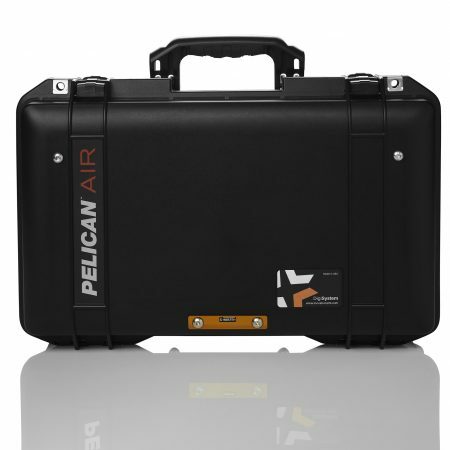 The cheese plate design allows the clamps to be positioned to allow just about any laptop to be used with the DigiPlate. 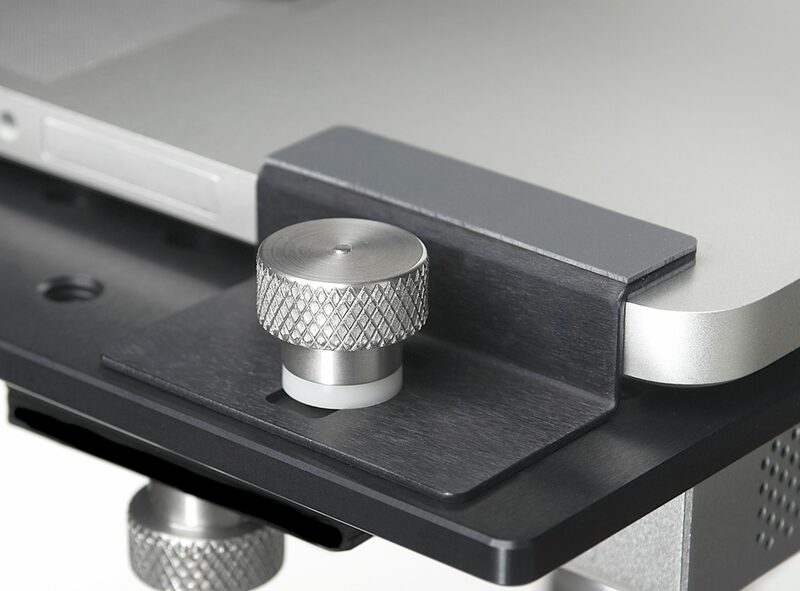 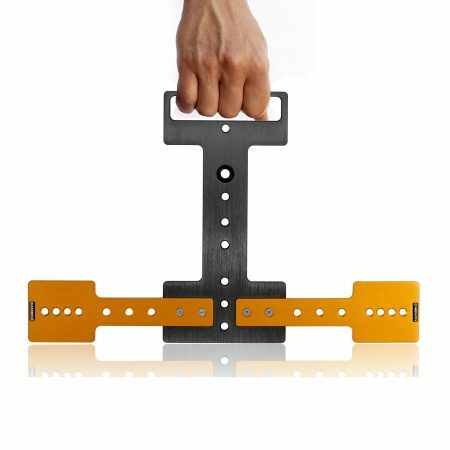 Each clamp is secured to the DigiPlate using large thumb screws making clamping both easy on the fingers and very secure. 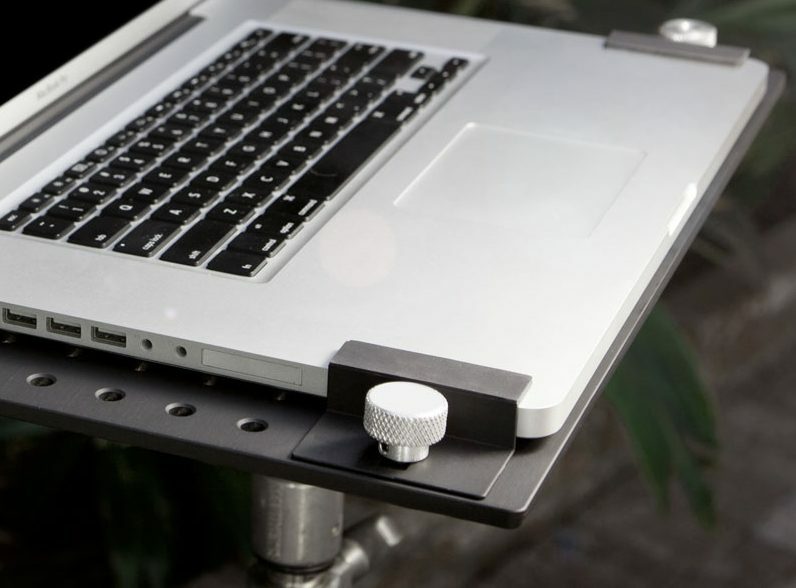 The custom rubber pads make sure your laptop will not slip out from underneath. 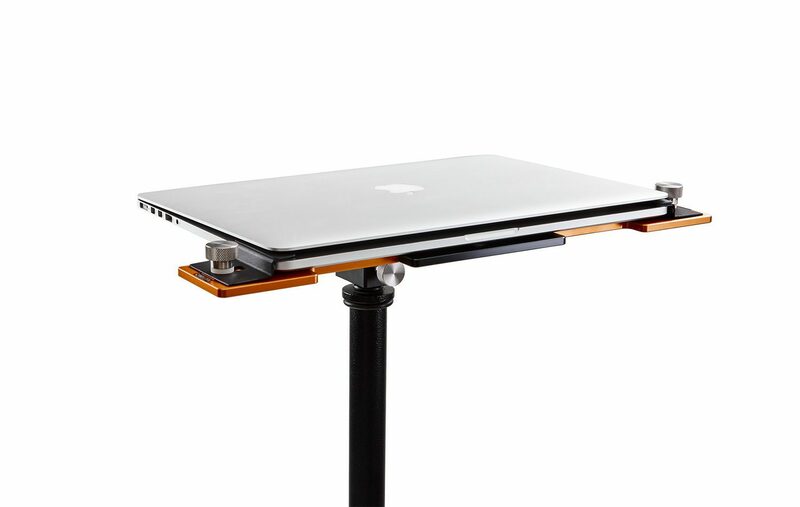 The DigiClamps can accommodate computers, including Apple’s new MacBook Pro with Touch Bar, ranging in size from 0.375in – 1.0in in height.